Anyone else out there following the countdown to Call for Code? The project is IBM’s rallying cry to get more technologists coding for the good of the world, and I am so psyched for this year’s event. As I’ve shared before, the theme for this year’s Call is Natural Disaster Preparedness and Relief. What I want to focus on in this post isn’t just the power of analytics and code in helping to provide help and comfort during times of disaster. It’s the way other new and evolving technologies can help unlock the power of analytics and code to create the change we need. The following are some of my favorite, tangible examples of how code and analytics can help save the world. In times of disaster, one of the most challenging tasks is search and recovery. Last year, when Hurricane Harvey flooded Houston, the news was inundated with reports of regular people conducting search and rescue operations. The Cajun Navy came from all over the south with their own boats went from house to house down flooded streets to find survivors to help the national search and rescue teams get to everyone in time. What if AI and machine learning along with the power of analytics could make this process faster and more efficient? Daniel Krook, the technical lead for Call for Code and a software engineer for IBM, has said that we are seeing this come to fruition. The project that stands out for him called DroneAid is helping to make the search and rescue process easier using Watson visual recognition and machine learning. What the DroneAid team realized, for instance, is that using a combination of drones and object/character recognition to decipher messages hand-written on roads was useful but took too long due to the differences in people’s hand-writing. The team instead created a series of universal symbols that people can put on their roof or in their yard to indicate how many people are there, and what they need. Using machine learning, it took just five minutes for DroneAid to train their model and detect the needs of their prototype event. If we see this project take off and implemented globally, I can only imagine what the results would be in times of natural disaster. Today, most—if not all—of our solutions run in the cloud. Krook also pointed out that these solutions would be pointless without connectivity. We often forget that in natural disasters the electricity goes out, taking the internet and the ability to connect to the cloud with it. Parts of Puerto Rico were without power after Hurricane Maria last year for months. MONTHS. So how do coders handle this situation? Krook believes that coders can create mesh networks to connect populations when no centralized access to the cloud is available. A “mesh network” is a system of router nodes that can beam WiFi above land for free use, even if internet is not available. As long as one node is connected, the others can stay up, as well. We see it with every natural disaster: The donations of food, medical supplies, water, and clothing come pouring into help. But then we also hear stories of these supplies and donations sitting unused and spoiling in shipping containers in parking lots and in airplane hangars. The solution to this spoilage could be as simple as using blockchain, according Krook. Blockchain, because of its ability to bring transparency to the logistics process, is the ideal partner. It can allow multiple parties—organizations that most likely don’t know each other or track things in a similar way—to centrally track available resources, see where goods have been sent, and ensure that they’re still needed. One solution, SmartSupply, a hyperledger solution that can track water and food from the moment it leaves for the disaster area to the time it is distributed where it’s needed most, is in development in Puerto Rico as part of the project, for instance. Using this technology, we would be able to ensure food, water, and supplies get to those who need it most. A residual effect is that it could encourage more people to donate knowing that they’re actually helping someone in need. When disaster strikes, we see an influx of data. From weather patterns to data on utilities, we see it all. But is it harnessed for insights to protect the population? Krook believes that we’ve barely scratched the surface of what IoT devices can accomplish. In areas vulnerable to natural disaster, there’s a vast potential to harness aggregated sensor data to analyze patterns that can mitigate the effects of wildfires, floods and major weather events. The power of analytics could impact a lot and we’re talking not just preparation of impacted populations—but prevention, as well. When the Thomas Fire broke out last December north of Los Angeles, one of the reasons it continued to spread so quickly in neighborhoods was due to the lack of water and water pressure coming from fire hydrants. It wasn’t until it was too late that firefighters realized that water pump houses in the hills above Ventura, Calif., had been in the fire path. If these pump houses had been equipped with sensors, someone might have been alerted to the problem before it was too late. Seems pretty logical that coders will have to build extra layers of security—both physical and cyber—to protect the information that is flying around. Natural disasters are often compounded by weather. Fires create their own weather systems within the flames that can change the course of wildfire in an instant. Hurricanes can drop inches of rain within a few hours across a wide area. 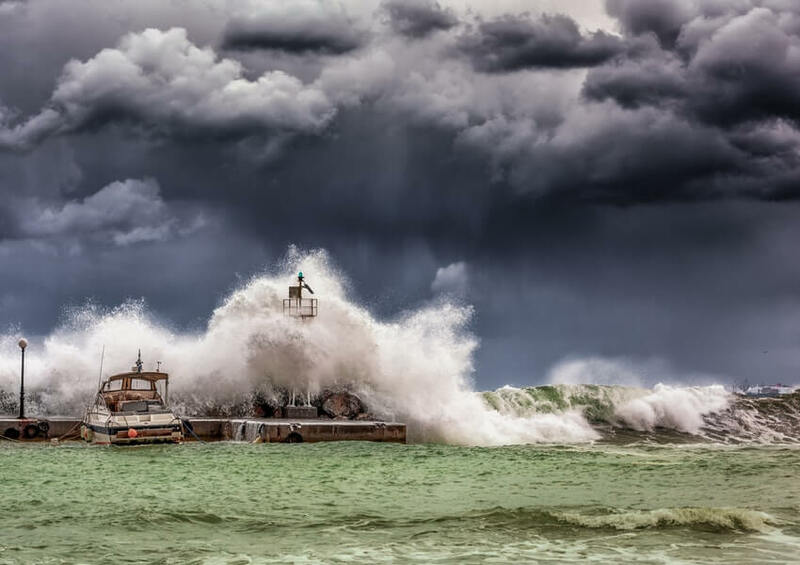 Being able to use data and the power of analytics to accurately predict what the weather might do could help cities and first responders be prepared. Krook made the point that the wildfires that are happening now in California demonstrate that firefighters need reliable access to real-time weather data on the ground to effectively deploy tactical and strategic solutions for containment. But it’s not just wildfires where real-time weather data is critical. Think of coastal areas that need to evacuate huge populations during a potential tsunami or hurricane. In these situations, shaving just minutes off response times can save lives. Using code to plot, predict, and understand the weather can be the difference between life and death. Again, I’m so psyched to see what innovations are developed during this year’s Call for Code through IBM and all of our promising coders around the world. I encourage everyone out there with coding experience to take time and consider how you might use the above technologies and the power of analytics and code to solve some of our greatest human challenges.